Produced exclusively for OliveOilLovers.com, this extra virgin olive oil is a perfectly balanced and complex oil produced by a co-op of small family-owned farms in the southern region of Andalusia. Pressed from high-quality Arbequina and Hojiblanca varieties, this flavorful oil is exceptionally smooth with aromas of ripe fruits, apple and banana and a slight peppery finish. 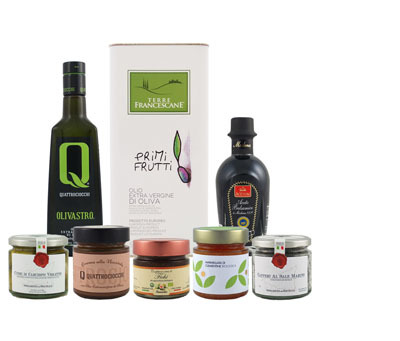 After tasting hundreds of different extra virgin olive oils, the Olive Oil Lovers team have selected the most outstanding oils from the principal production areas around the world. Special care was taken for each of the oils to be an ideal representative of the production area in terms of flavor and aroma. The AMORIS line of regional and monovarietal extra virgin olive oils was created to provide our customers with the opportunity to discover the distinct characteristics of each olive variety and region, and to open infinite food-pairing possibilities for the creative home cook.